Concrete is rarely thought of as being decorative or stylish but when it is done right, concrete can have an impressive impact. 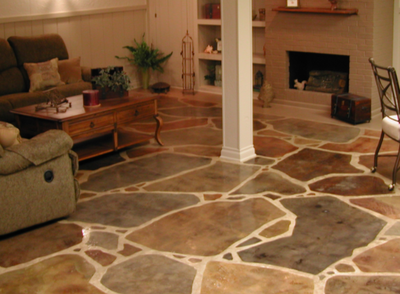 Many people think of marble, quartz, or glass tiles as being ideal finishes. 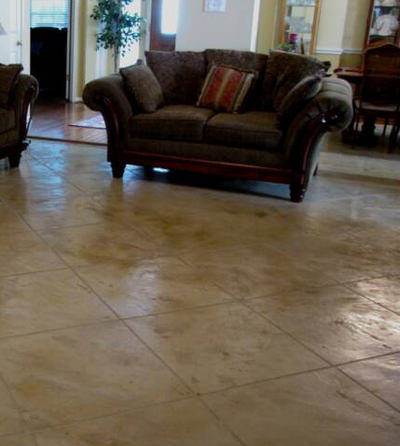 However, these materials can be expensive and difficult to maintain in the long run. These drawbacks are serious enough to deter many homeowners from choosing these materials for their aesthetic and decorative properties. 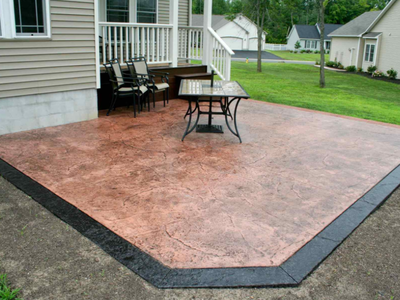 While concrete generally is not the next option on their minds, it can deliver a unique custom look at a much lower price point. 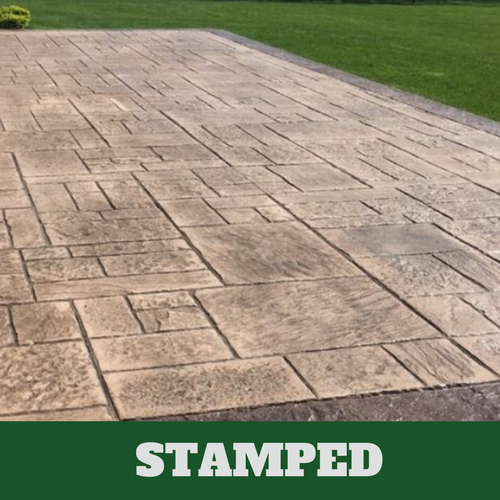 At Danbury Stamped Concrete we're experts at taking this simple material and making it look luxurious. Homeowners pay a premium price for marble, quartz, or granite countertops. 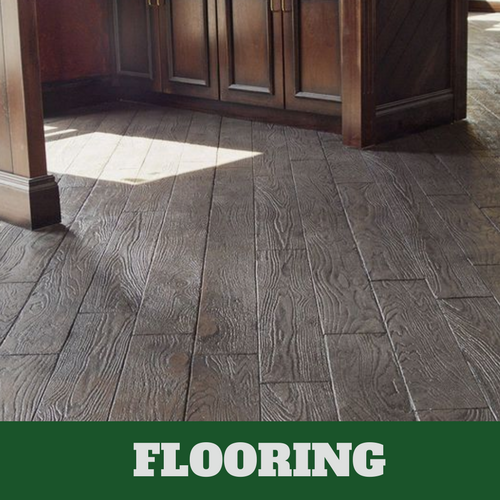 And while the price can be worth it for those who have an adequate budget, others often end up settling for materials and finishes that are much less durable or cheap in appearance. Concrete countertops offer that high end look and exceptional durability for a more affordable price. 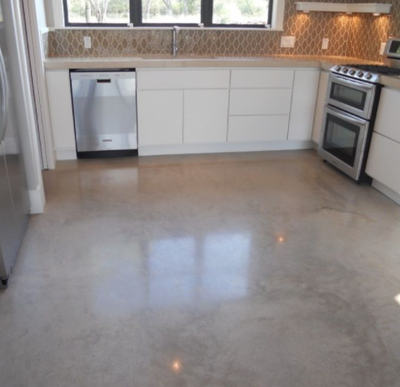 When stained and polished, concrete can be reminiscent of higher end materials. It is resistant to scratches, heat, water, and other elements and hazards that kitchen countertops are often exposed to on a regular basis, which makes it as practical as it is beautiful. 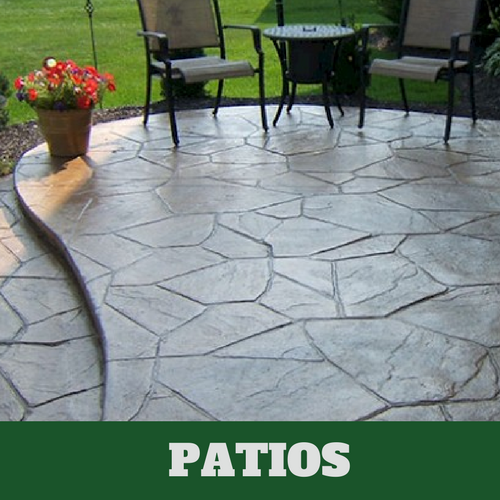 Concrete is commonly used outdoors for walkways, patios, and driveways. It may also be used to construct retaining walls, sitting walls, or other hardscaping features to enhance the look of a backyard landscape. In more creative instances, homeowners have also had permanent vases sculpted from concrete to adorn their yard. 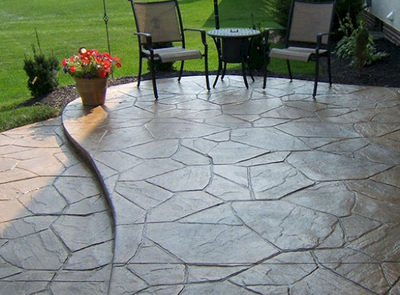 There are many ways concrete can be used to create decorative features for outdoor areas. 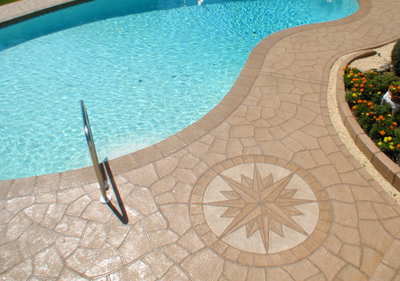 Contact us to discuss a project you have in mind and we will be happy to work with you to determine whether decorative concrete is the right option. 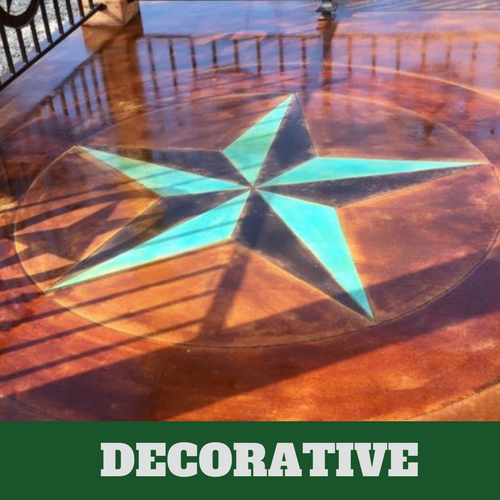 With years of experience working with concrete and pouring and repairing everything from concrete patios to concrete flooring, we are experts in creating beautiful finishes and features with nothing more than concrete and a little creativity. There's almost no limit to what we can achieve with concrete. 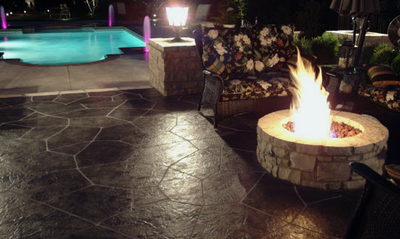 We will be able to help you design and install any decorative concrete feature you can dream up. Talk to our experts and we'll get start on bringing your vision to life with our skilled craftsmanship and aesthetic eye. 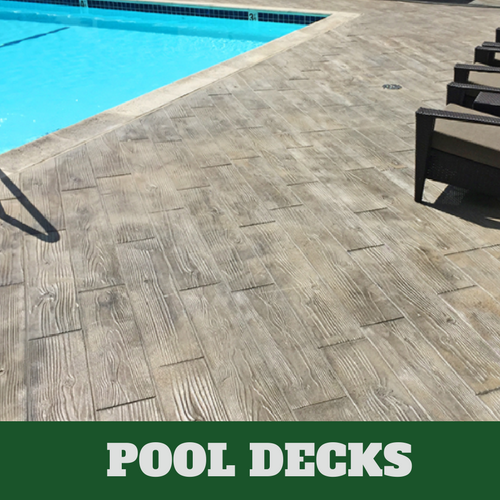 Plain concrete may be timeless, but stamped concrete can add excitement and visual interest to any area of your property, whether it is the pool deck or concrete driveway in front of your home. 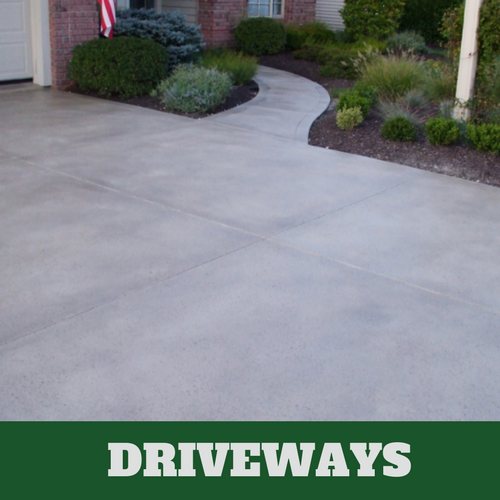 No matter which option you choose, we are the best concrete contractors in the area and you can trust that we will complete the job to your satisfaction. 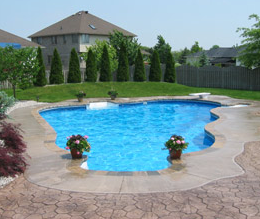 Our highly experienced and knowledgeable team are eager to help you with your project. We thrive on creativity and creating new and customized designs for our clients. 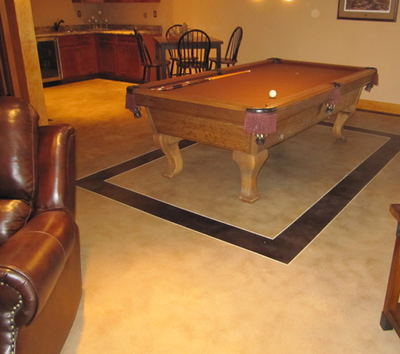 Contact us to get started with your project today!